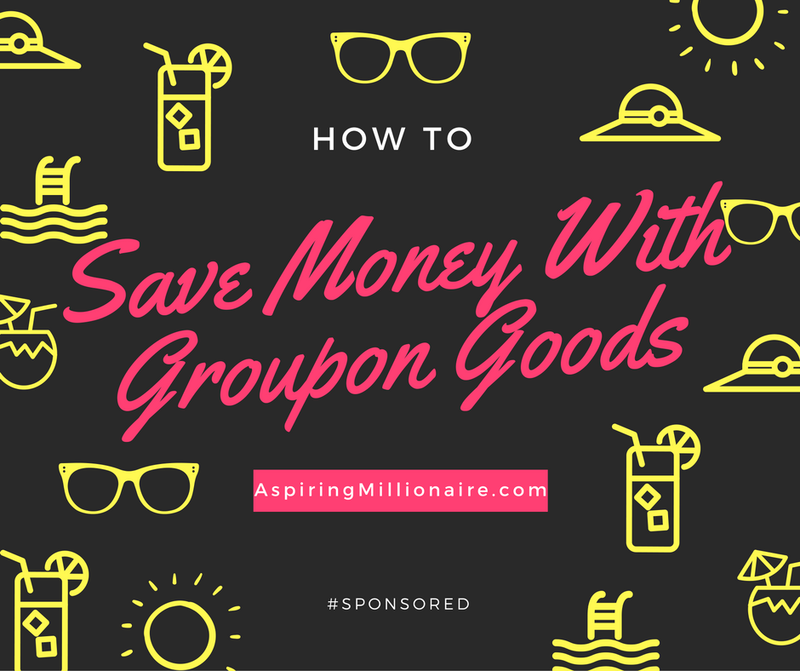 Are you aspiring to save money? One aspect of becoming 'rich' is know when and how to save money. I have shared numerous ways I have made and saved money which has enabled me to have a lifestyle I love. One thing I have done for years is shopped with Groupon Goods. This is a rule I follow so much that I overheard a conversation with my kids about it. My older daughter said to her little sister "Never pay full price. Wait for it to go on sale, everything always goes on sale!" Her sister is of the opinion she'll be rich and doesn't care what she pays. I have my work cut out teaching her. It is incredibly easy to compare prices online and shop around without needing to spend hours in stores now. 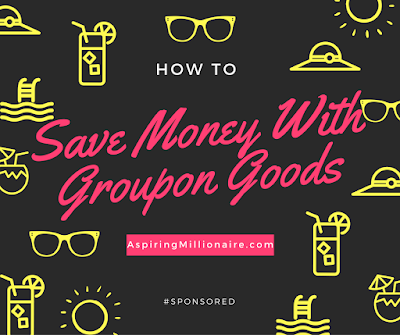 Type in what you are looking for, search on sites like Groupon Goods and look for either sales or coupons for the items you want. 3.) Don't buy stuff you don't need! One thing that is easy to do with sales and greatly reduced items is to buy things you don't need. Keep your budget in mind and what you actually need. If you spend $100 on something you didn't need, even if it was 75% off, you have spent $100 that didn't need to be spent!